The world population is aging, which causes changes in the society as whole. Adults 60+ (seniors) represent an important and ever growing part of our EU population, economy and society. Although many seniors enjoy good health, aging often brings difficulties preventing older citizens from accessing goods and services and living independently. Ensuring accessibility for all is both a question of fundamental rights and crucial to make the most of the potential that senior citizens have in social and economic terms. Adult learning provides a means of up-skilling or re-skilling those affected by unemployment and age, as well as makes an important contribution to social inclusion, active citizenship and personal development. 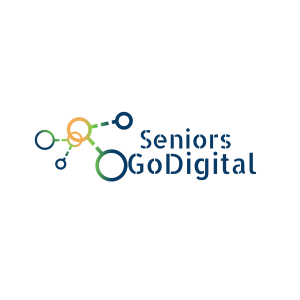 The SENIORS GO DIGITAL project comes to offer high quality lifelong learning opportunities for disadvantaged seniors (low-skilled, retired, unemployed, marginalised, refugees, asylum seekers, with fewer opportunities etc.) to acquire, re-skill or up-skill their digital competences in order to be able to be active citizens, socially included in the digital world, thus ensuring in a systemic way active aging, social inclusion, e-access, e-participation and personal development, so that they can be better empowered to fight social exclusion, skills mismatches and isolation, while communicating and bridging barriers across Europe through the SENIORS GO DIGITAL initiative. The most important results to be expected during the project and on its completion are related to the setting up and pilot-testing of the SENIORS’ DIGITAL SUPPORT CENTRES in the form of on-line and in-house ONE STOP CENTRE. The CENTRES that will be pilot-tested will offer a wide range of services (training, mentoring and guidance) on specific days of the week and will be supported by VOLUNTEERS experts in different fields based on synergies/partnerships to be created through the MEMORANDUM OF COMMITMENT FOR SENIORS’ DIGITAL ACTIVE AGING.